This was an amazing full day workshop channelled live by Alphedia with the Lemurian Dolphins. In the workshop Alphedia introduces you to the wisdom and light of the Lemurian Dolphins. Lemuria was an ancient civilisation predating Atlantis. The souls incarnate at this time were very spiritual, vibrating at the 8th and 10th vibrational level. They created reality by dreaming it into existence and during this time co-existed with Elementals, Angels and worked in harmony with the Dolphin race. 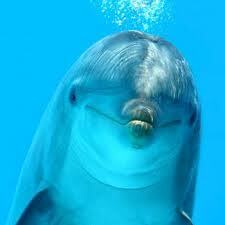 Dolphins are 12th dimensional beings who hold the grid of light Earth Matrix in their brain structure. The dolphins communicated with humans during Lemurian times in holographic form patterns, sending transmissions from their brains to assist humans in holding Gaia’s light grid matrix. The Dolphins hold within their brains the holographic structures and symbols which allow more light to enter the Earth’s domain at this time. As part of Gaia’s evolution she requires Ancient Lemurian’s to reconnect to their sacred Dolphin knowledge and re-establish connection with them to assist in the next evolutionary stage of the Earth’s progression. Through meditation, chakra attunement, and visualisation you will be connected to the Dolphin’s matrix within the Earth and receive the holographic programming you as a soul agreed to carry at this time in the Earth’s evolution. You will visit, in meditation, one of the Ancient Lemurian Dolphin Temples where humans and dolphins would exchange healing codes of love which the dolphins ‘sang’ and tuned into humans central core matrix. Many of us remember these communications and you will experience once again dolphin/ human symbiosis allowing your heart to sing with joy. The dolphin temples are connected to energy vortexes of Gaia which dolphins work within to charge up the leyline energy deep within the sea. By reconnecting to the Lemurian Dolphin temples we can assist Gaia in a visualisation to bring into being in the physical realm symbols and patterns required in humans to allow more light to descend as part of the new dawn after the 21/12/12 shift. No prior knowledge of Lemuria or spiritual work is required for this course, Alphedia will guide you all the way through this exciting experience. A love of dolphins is a good sign that this course is for you! A personal message will be channelled for you after you have downloaded the workshop. Email [email protected] to claim your message.